We can't believe that the new school year is almost here already! Summer always seems to fly by, but we love to keep Back-to-School time positive and fun with book-giving traditions. It's such a simple tradition, but we find that treating the first day of school as a celebration sets kids on the right track for another year of learning and improving literacy skills. It's a great time to get creative and find books that really suit your children's personalities. 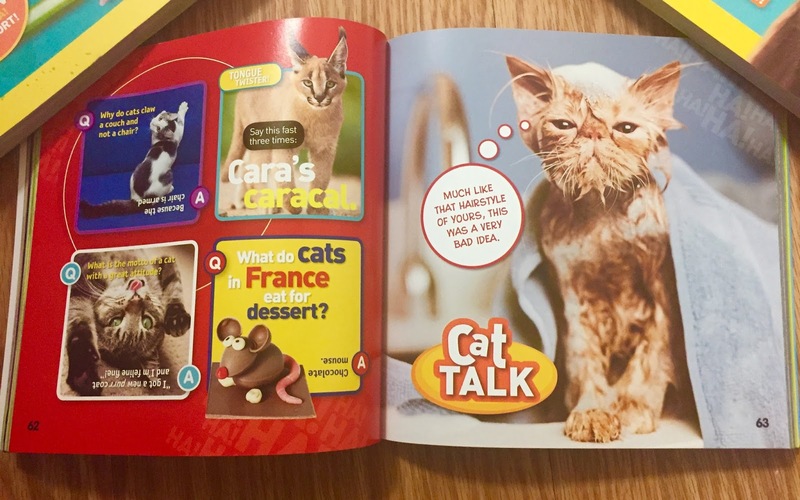 Just Joking Cats - tons of purr-fectly hilarious jokes and silly cat photos that friends and family can laugh over together. They introduce ten of the 'funniest famous felines' in this book, too. I think these particular books have been just as much fun for the adults to read with the kids because it's made for really funny bonding moments. It certainly puts everyone in a good mood. We can see these being fantastic go-to books in the morning. Read a few pages during breakfast or before heading out the door to create a positive vibe for the day. As you're gathering your classroom supplies this year, consider picking up a book or two for your child's classroom library. Your teacher will appreciate it so much and it's a nice way for your child to feel a bit of pride that they contributed to the library. 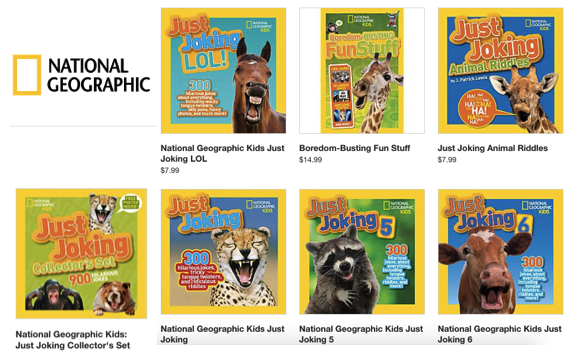 Click here to explore everything National Geographic Kids has to offer. 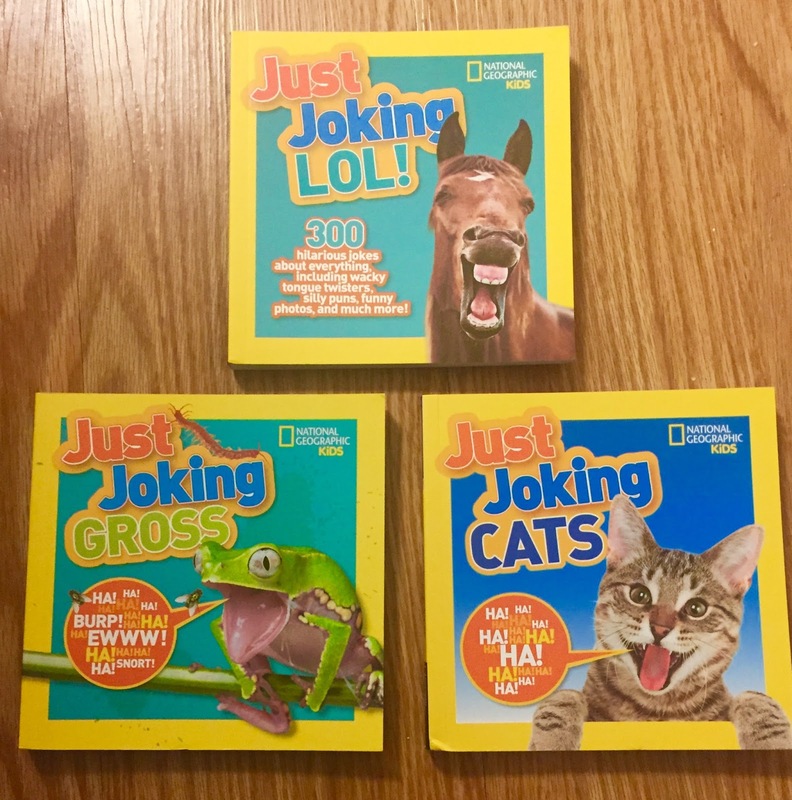 Disclaimer: The books in this post were provided by National Geographic Books. As always, our posts are our own, honest opinions.